Hi-Point conducts a variety of market research studies to gather the opinions of individuals to gain insights into consumer trends, opinions on public and social issues, programs, or initiatives. What business decisions do you need to make? Who are you trying to survey? Based on your answers to the above questions, we work with you to select the methodology that best meets your research needs. Quantitative studies are best to implement when you need conclusive answers to research questions. Unlike qualitative studies, quantitative research involves large sample sizes where the survey questions are defined and specific, rather than exploratory. The goal of quantitative research is to provide statistical information about research questions so that accurate conclusions can be drawn from the data. We often conduct quantitative studies to help our clients understand how many people will buy their product or service and to profile these prospective customers in a statistically valid way. Because of the large sample size and “categorized” responses to questions, the data can be aggregated and quantified. This makes it possible to draw conclusions that are “projectable” to the target audience you want to reach. That audience may either be your current customer base or your “potential” customer base. Sample size alone, however, does not make research results projectable to your target audience. There are many different ways to determine both the number and type of people that should be surveyed for a specific project. This is what is commonly referred to in the industry as a “sampling plan.” It is an integral part of any quantitative study and will directly impact the projectability of the study results. Multiple tools may be selected to get opinions from a targeted group including live and web based tools in a group setting or one-to-one. 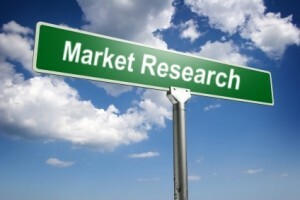 Our research will provide you a written report with summary of findings in narrative and in graphical formats. If desired by the client, we can provide additional analysis of findings with conclusions and recommendations.